Okay, this is an old illustration (Old, like 1 month!) 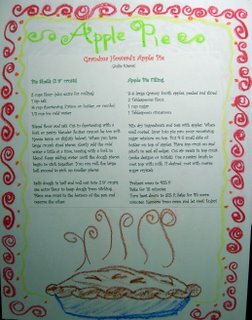 that I drew to illustrate my Grandmother's apple pie recipe. I LOVE apple pie, so to me, there is no better flavor! :) Slightly crunchy, tart juicy apples, dripping with sweet, syrupy cinnamon held together by a crumbly, buttery crust - if you're lucky there'll be some hardened, carmelized cinnamon sugar drippings in the crust that tried to leak out - that's my favorite part! Yum! this is sweet and i love the idea! perfect for the topic!!! Hi Julie! Merry Christmas & Happy New Year! 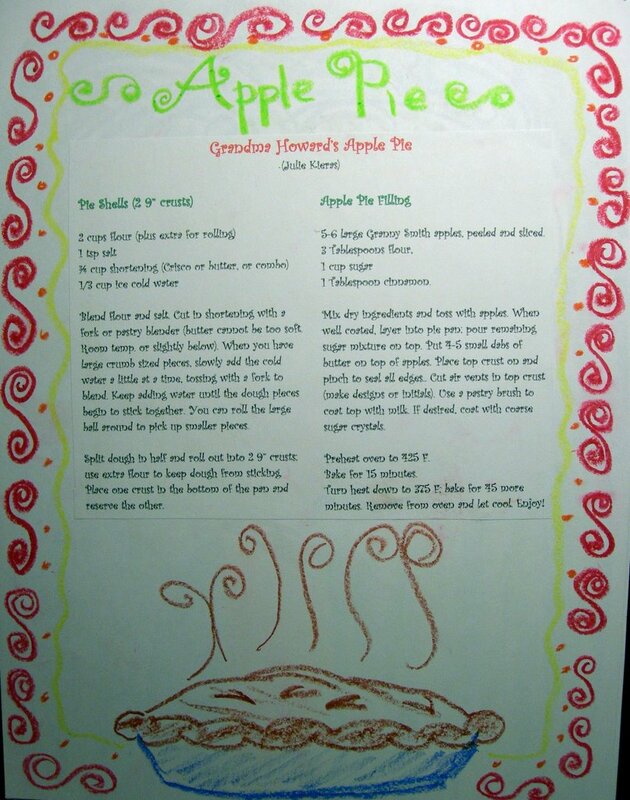 This looks absolutely delicious...I agree that it doesn't get a whole lot better than apple pie, unless it's apple pie with ice cream:> Of course, I won't be having any of that for a while... I hope you had a wonderful holiday. Your decorations drawing is so pretty. It's really fun to start a collection of pretty ornaments. Awesome!!! Not only is it a fun and cute illustration, but a great keepsake, too! !